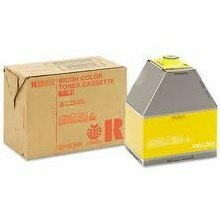 Genuine OEM Gestetner Toner Cartridge, Yellow, 10,000 page yield. Gestetner part number: Gestetner 884901, 888232. Color Laser Toner Cartridge compatible with Gestetner DSc328, DSc332, DSc338. Genuine OEM Gestetner Toner Cartridge, Cyan, 10,000 page yield. Gestetner part number: Gestetner 884903, 888234. Color Laser Toner Cartridge compatible with Gestetner DSc328, DSc332, DSc338. Qualifies for free shipping & earn 135 points! Genuine OEM Gestetner Toner Cartridge, Magenta, 10,000 page yield. Gestetner part number: Gestetner 884902, 888233. Color Laser Toner Cartridge compatible with Gestetner DSc328, DSc332, DSc338. Genuine OEM Gestetner Toner Cartridge, Black, 19,000 page yield. Gestetner part number: Gestetner 884900, 888231. Laser Toner Cartridge compatible with Gestetner DSc328, DSc332, DSc338.